The Northwest Minnesota Arts Council (NWMAC) is excited to announce a new exhibit, SKIN, is now on display at the NWMAC Gallery in East Grand Forks, Minnesota. What does “skin” mean to you? Do you hear the noun, something we inhabit? Or do you hear the verb, an act of peeling away? Come to the NWMAC Gallery to see this contemplation manifested through art. Several local artists are featured: Heather Sabian of Crookston, Tracy Mehrkens of Thief River Falls, Kennedy Truscinski of Greenbush, and Mara Hanel of Warren. Artistic mediums range from photography, pencil on paper, acrylic on goat skin, to muskrat hide. 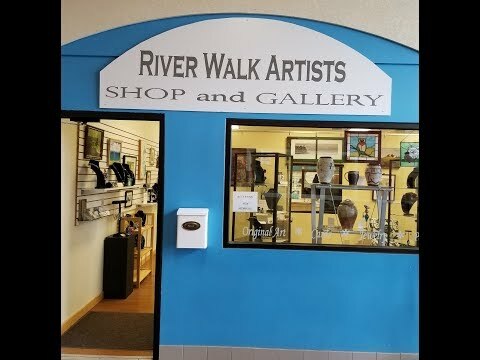 To view the SKIN Art Exhibit, please visit the NWMAC Gallery at 211 DeMers Avenue, East Grand Forks, MN 56721(located within the Riverwalk Artists Gallery) now through November 3, 2018. The gallery is open Thursday–Saturday, 2:00–8:00 P.M.and Sunday, 2:00–5:00 P.M.
Save the date for an artists reception to be held Saturday, November 3 from 1-5PM. If you are an artist interested in exhibiting a body of work with NWMAC, please contact Stephanie Olson at (218)688-1256 or email NWArtsCouncil@gmail.com. This exhibit is made possible with funding from The McKnight Foundation in Minneapolis and the Clean Water, Land and Legacy Amendment in Minnesota to the Northwest Minnesota Arts Council.